The mobile phone arena has been very lively as of late, with Apple’s release of the iPhone 6 and 6 Plus, Apple’s iOS 8 release, Windows Phone and Nokia having new models, and also with Samsung releasing the Note 4 very soon. And rumor has it that Google will be releasing Android L in a few short months. So as you can see there has been quite a bit of talk about mobile. And with all of this talk, I’ve had mobile phone fever. It was time for me to select my next daily driver. For the past year my daily driver has been the iPhone 4s. Phone performance has degraded quite a bit over the past year. There are various performance issues with my 4s where apps sometimes fail to open and I need to force close the app and try again. For example, the “Phone app” displays a grey screen instead of displaying the dialer sometimes. Yes, I do subscribe to podcasts and stream music daily. So I believe most of my performance problems is likely has to do with flash memory performance over time. The only solution for this is to get a newer device. For those that don’t know about why flash memory performance breaks down over time, I suggest you read this article. The small screen size doesn’t help. Sure I’ve been dealing with the 3.5 inch screen since last year and I’ve put up with it. But reading articles or reading emails on that tiny screen is really annoying. It is time to get something bigger. Battery life has severely degraded over the past year as well. When I first got the phone, a full charge in the morning allows me to use the 4s throughout the entire work day. This includes listening to a full hour of music or podcasts in the morning, making and taking iMessages and up to 5 phone calls (at 10 minutes per call) during the day, another hour of podcasting on my way home, and light usage until 8pm at night. I used to still have 30% battery life left at the end of the day. Nowadays my 4s would be dead before I leave the office to drive home --- and no, I don’t have Facebook installed on it and I don’t use GPS often. So I’ve pretty much had enough with the iPhone 4s. It is time for me to upgrade! But to what device, and why? Right off the bat, I was a bit disappointed. Because of my requirements above I couldn’t choose a Windows Phone. I’ve heard of many people that love their Windows Phones, and I’ve heard of many people that hate them too. But I want to try a Windows Phone anyways and see how it goes for me. But without Chromecast supported apps or Cisco AnyConnect VPN I just can’t choose a Windows Phone – not right now. I’m a Verizon customer, so is most of my family and a large number of my colleagues. So I knew I was going to stick with Verizon again when I upgraded. I walked into the Verizon store and looked at all of the devices available. First was the Samsung wall. I looked at the Galaxy Note 3 first. It was in it’s folio case so I got to check out the entire feature set. The screen was nice and bright and it was very responsive. The phone is huge! But after playing around with it for a few minutes, for me it was just too big. Now I am a big guy myself – I’m 6’5 and 300 pounds, and I have huge hands too (I can easily palm an NBA regulation sized basketball). But the device just didn’t feel right in one hand. The more I evaluated the Note 3 I came to the conclusion that I would be forced to use it most of the time with 2 hands. I did like the Note 3 but I kept eyeing the phone next to it – the Galaxy S4. So I picked up the S4 and played around with it too. The S4 does have a very nice screen. But the device just didn’t feel right in my hands for some reason. The build quality was a bit questionable for my tastes, too ‘plasticy’. My wife has an S4 and she loves it but I’m picky. A Galaxy S5 was right next to the S4 so I checked that out too. I liked the screen and the look and feel of the S5 much more than the S4. The S5 was light in the hand, was very responsive, and felt more durable than the S4. Also the back cover of the phone was less prone to slipping out of the hand than the S4. A colleague of mine has the Galaxy S5 Active on AT&T and he swears by it. He showed me a 1080p recording on it too, which was fantastic! I kept on playing around with the S5 and opened apps, called my phone to check the call quality, and took a few pics on the device just to see what it was like. My only gripe was that the Samsung devices still use TouchWiz UI which I do not like, but I could deal with it if needed. At this point the S5 was at the top of my list but I needed to check out the rest of the phones. I wanted to make sure I was making the right choice for me. Right next to the Galaxy devices was the HTC One M8 Windows edition. Man, that is a really really nice phone! It is metal, has two speakers on the front, and the screen was awesome. Then next to that was the Nokia Lumia Icon Windows phone. Next up was the iPhone 6 and iPhone 6 Plus. Then I stumbled upon the Motorola Droid wall and checked out the Moto X but it was the previous model. I also looked at the Droid MAXX, but I know that phone won’t be getting the Android L release. So long story short I passed up all of the Motorola devices. Finally, the LG wall. I haven’t used an LG phone for at least 4 years now. The last LG phone I had was the enV2. Remember those “text messaging” specialty phones? Yeah, the enV2 was one of them. The first LG phone I checked out was the LG G Vista. The screenshot above really doesn’t do the device justice. With a 5.7 inch screen size it is a HUGE device! Even larger than the Note 3. But it is pretty much a budget phablet with mid-range internals. I did like it at first, but then I did the screen readability test and it failed. ----- Here is one way to test screen resolution on a phone: Open the browser and navigate to news.ycombinator.com. Can you easily read the tiny text on the screen? If you notice pixelation then the screen resolution isn’t that high and you might want to pass. If you can read every single word without squinting then you’ve got a winner! ----- the G Vista was also a bit sluggish when opening apps and swiping from screen to screen. And the device was just too large for me (even the Note 3 was too large for me). But it was still a nice phone. Next to that was the LG G2. The G2 is smaller in size than the G Vista, but is larger than the Samsung Galaxy S4. I love how the G2 felt in the hand and it was a little heavier than others but it still felt great and performed great. The back button placement was a bit strange to me but an interesting feature nonetheless. But then next to that was the LG G3. This device has a 5.5 inch double 1080p screen and is wider than the Apple or Samsung phones, which I liked. I don’t really like the “tall” screens in the iPhones or the Note devices. I do prefer the wider screen. When I performed the screen readability test, the G3 passed it with flying colors as well. The back buttons on the G3 felt a lot better than the ones on the G2. I loaded up Beach Buggy Blitz (a great game to test out gaming performance on a mobile device) to get a feel for what type of gaming experience I could get on the phone too. I just kept falling in love with this device the longer I played with it. The camera was very responsive too. The Moment of Truth: Why the LG G3? But I still had a lot of reasons to NOT select the iPhone 6. I’ll give you three for now. First, I really REALLY don’t like the price. Maybe I’m too frugal but I think that paying $649 for a 16GB iPhone is WAY too much. Also, would it really kill Apple to increase the default storage to 32GB? Memory is incredibly cheap nowadays and 16GB just doesn’t cut it anymore. My second reason is that I don’t like being tied to a single ecosystem. iOS is locked down and a less ‘open’ system. Personally I don’t like that. And my third reason is iOS. I am just not a fan of iOS. The design from iOS6 to iOS7 was interesting, but it just doesn’t work for me. Also, since going to iOS7 my phone’s stability has drastically decreased (as explained above). So who’s to say that iOS 8 would be any better? Software: Even though it had some UI overlays, it felt pretty close to the stock Android OS which I loved. I knew that I could disable any apps or services I didn’t like (like NFL Mobile) and install a different keyboard, amongst other changes. Android is a more ‘open’ system as well so things can be changed to my liking. And with the large amount of apps in the Google Play store I could find any app to help me get most any job done. Screen size: I don’t like the “tall” iPhone screens. The G3 was a bit wider which I liked. The device isn’t quite a phablet, which is a good thing. Device build quality: The G3 just feels ‘right’. When you bend the device ever so slightly you can feel that LG put some time into designing this device to be durable, and it shows. Gaming performance: Ok yeah, this was a big deal for me because I do game on my phones. The Mali 400 GPU works great on the G3 and appears to keep up with the latest in mobile 3D gaming titles. Playing Real Racing 3 and the Final Fantasy titles is a joy on the G3. Camera: The picture quality with the 13MP camera in the G3 was much better than the camera in the iPhone 6 ---- Well, it was much better in my opinion in my limited testing. And I thought the camera in the G3 was much better than the camera in the Note 3 too. I’ve already started taking pictures of my famliy with the G3 and it is worlds better than anything I’ve used in the past. The rear power and volume buttons: This was a surprising feature with the phone when I first used it. The power and volume buttons are on the back of the device. I’ve heard of people hating the back buttons on the G2. But for me, this was a selling feature of the G3 and one of the reasons why I chose the G3 over the others. I like the buttons on the back. They don’t get in the way of holding the phone and, in fact, make it easier to hold the phone in one hand. 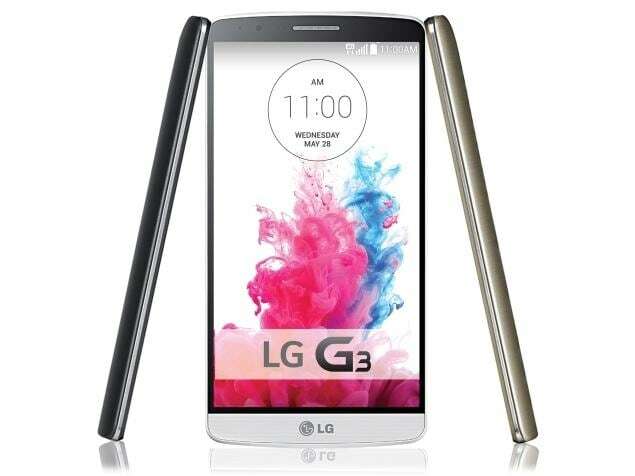 Battery Life: The LG G3 has a Li-Ion 3000 mAh battery, that equates to up to 14 hours of non-stop talk time. In recent tests the iPhone 6 caps out at 7.5 hours of non-stop talk time. Here is a better example: I’ve owned the G3 for two days now and charged it only once for 3 hours and I use it all the time to read email, game, and watch video. I still have to charge my iPhone 4s overnight as well as during the day even with light usage. I knew nothing about the G3 phone before I picked it up in the store. I checked out both the black and white models but eventually settled with the black model and am very happy with it. I was very opinionated when I walked into my Verizon store to look for a new phone. Also, I’m very picky on what I choose as my daily driver. But I’m very happy with my purchase because the G3 works for me. Some people have issues with the screen size, or that the back of the device is too slippery, or the back buttons are strange to them, but I don’t have any of those issues. 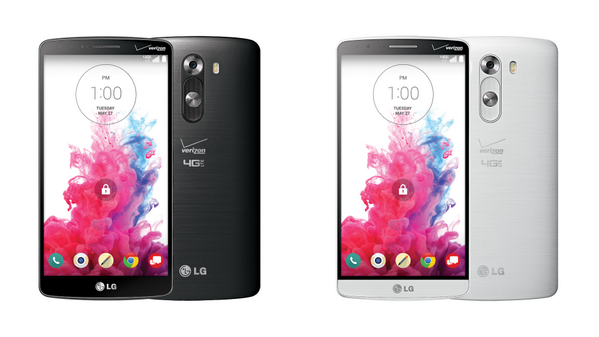 So far, the only thing I don’t like about the phone has nothing to do with LG, it has to do with what Verizon did. 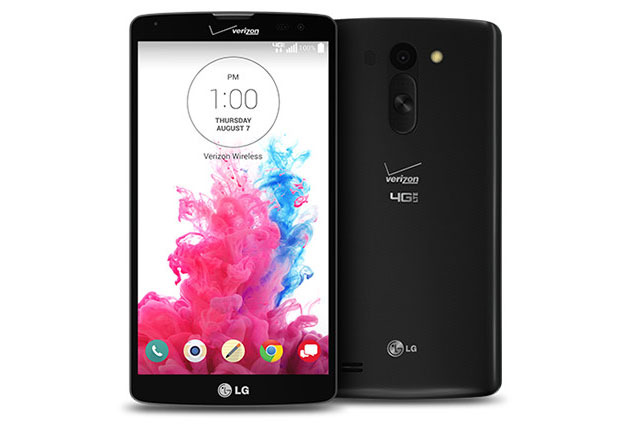 First, Verizon doesn’t sell the LG G3 model with the Qi wireless charging compatible backing with the phone. It is a separate purchase. And second, yes there is quite a few Verizon app bloatware pre-installed on the phone image. But the good news is that you can disable the ones you don’t need or use. After I picked up the G3, one of my friends shot me a message telling me that LG has a promotion right now where they will send a free 2nd battery and charger when you purchase a new G3! A great deal indeed. I’ve already started to look up the wireless charging and bluetooth accessories for the LG G3 as well. I’m looking forward to using the G3 for a while. Sorry if this seemed like a sales pitch for the G3. This is just my experience. Maybe in the future I’ll jump ship back to iPhone, but for now LG definitely has a winner.